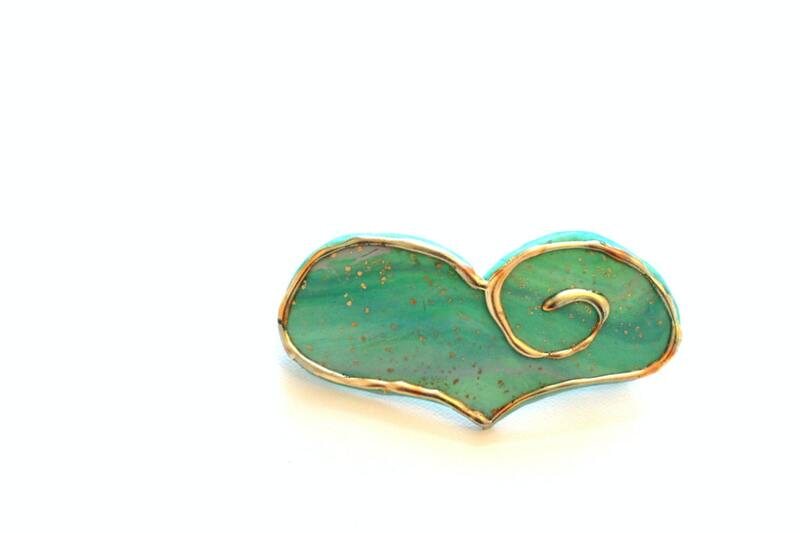 New for Spring! 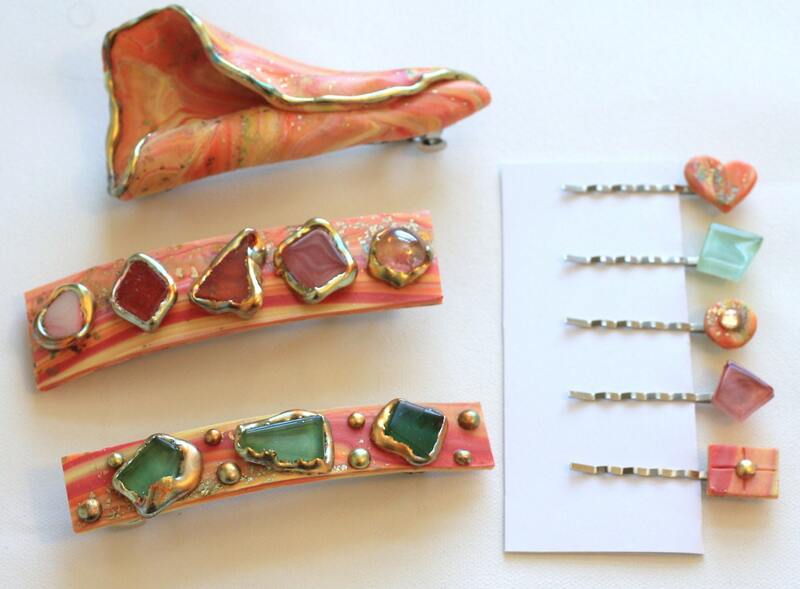 Womans Hair barrette, made from marbled polymer clay that has been "kissed" with variegated gold leaf. 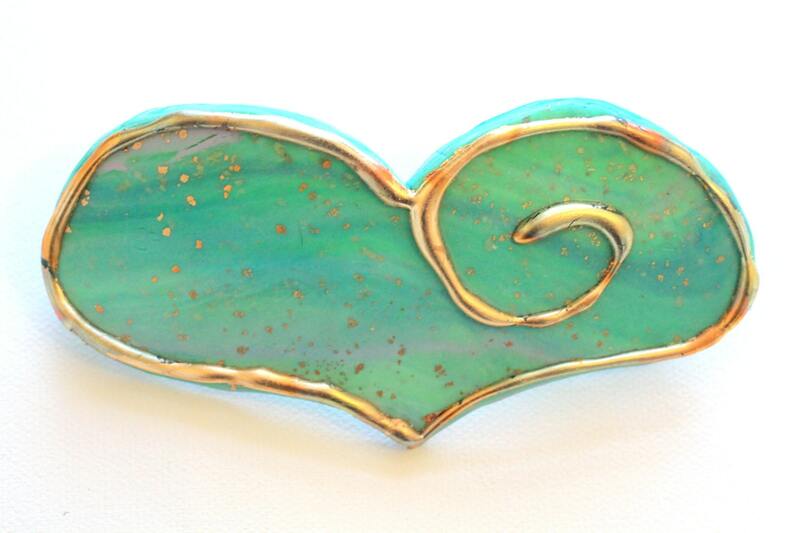 This Barrette is a beautiful minty green with ripples of ivory, turquoise and shades of green running through it.